The uneasy balance between them is shattered when Starr is the only witness to the fatal shooting of her unarmed best friend, Khalil, by a police officer. Now what Starr says could destroy her community. It could also get her killed. Sixteen year old Starr’s life changed in an instant, and would never be the same again. It was bad enough to witness your friend being gunned down by gang-bangers at the age of ten. Now here she is, sat in her oldest friend Khalil’s car, as the bullets pop into his chest, three in quick succession. Why? Because Officer-115 had an itchy trigger-finger. He claimed that he saw a gun in the car, but there was no gun. The real reason he shot and killed an unarmed black teenager was, he presumed that he was a THUG. He put two and two together, and came up with three. The Hate U Give, is one of those books that will stay with you forever. It may be a YA book, but it should be read by all adults, not just young ones. It contains some very powerful, hard-hitting messages. Important messages, that hopefully will change the way you look at certain parts of society, and make you understand that not all what you deem to be true, actually is. This isn’t a police-bashing book though, far from it. Yes, there is conflict with the law, but the conflict also goes much deeper within the community too. The author has given you the opportunity to discover what really happens in poor, predominantly-black neighbourhoods in the USA. The book may be fictional, but the basis is very real. Filled with characters that you can relate to, and scenarios that you read about far too often, this book will touch your heart. Gut-wrenchingly honest, it will have your emotions going into overdrive. It is also uplifting in the way that Starr deals with the aftermath of the shooting, and her courage to stand up for what she believes in. I loved the way her mother is portrayed, and the manner in which she views and relates to the world, with her positive, yet realistic attitude. Then you have the very different personalities that her brothers Sekani and Seven bring to the story, especially Seven’s young, humorous outlook on life. When it came to her dad, Maverick, although I found him very wise, and he loved his family dearly, he often viewed society as us, and them. Written with such elegance, and passion, it is hard to believe that this is Ms. Thomas’s debut novel. It held me captivated to the pages, and to Starr, her family and her friends’ lives. It is a real eye-opener, and I believe, a must read for 2017. Angie Thomas was born, raised, and still resides in Jackson, Mississippi as indicated by her accent. She is a former teen rapper whose greatest accomplishment was an article about her in Right-On Magazine with a picture included. She holds a BFA in Creative Writing from Belhaven University and an unofficial degree in Hip Hop. She is an inaugural winner of the Walter Dean Myers Grant 2015, awarded by We Need Diverse Books. 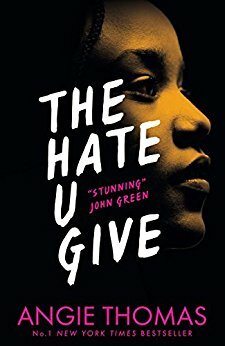 Her debut novel, The Hate U Give, was acquired by Balzer + Bray/HarperCollins in a 13-house auction and will be published on February 28, 2017. Film rights have been optioned by Fox 2000 with George Tillman attached to direct and Hunger Games actress Amandla Stenberg attached to star. 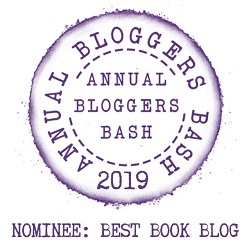 have a read of the reviews of our other ‘YA Books‘. It seems I see this book everywhere! It’s been sitting on my Kindle for the longest time and I really need to pick it up soon 🙂 Great review! I love a book whose characters you can relate to, not two-dimensional fiction. Sounds like this one is definitely worth the hype.